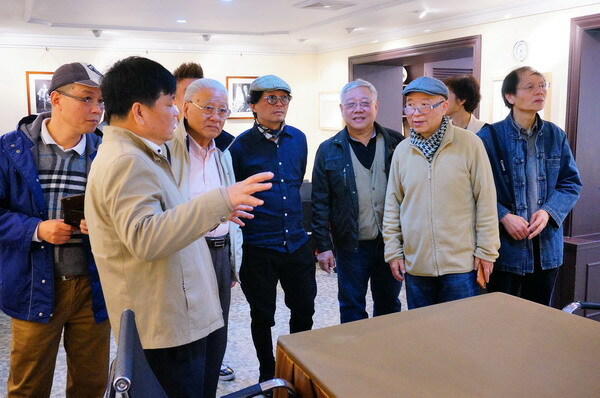 A group of nine Shanghai famous painters Chen Xidan, Zhang Anpu, Zheng Xinyao, Zhou Jiahua, Wu Guojiang, Xi Sai, Chen Weizhong, Liang Gang and Hong Niuyi, Former Secretary of CPC Group of China Welfare Institute entered one century old Soong’s old residence on the morning of April 9, 2018. 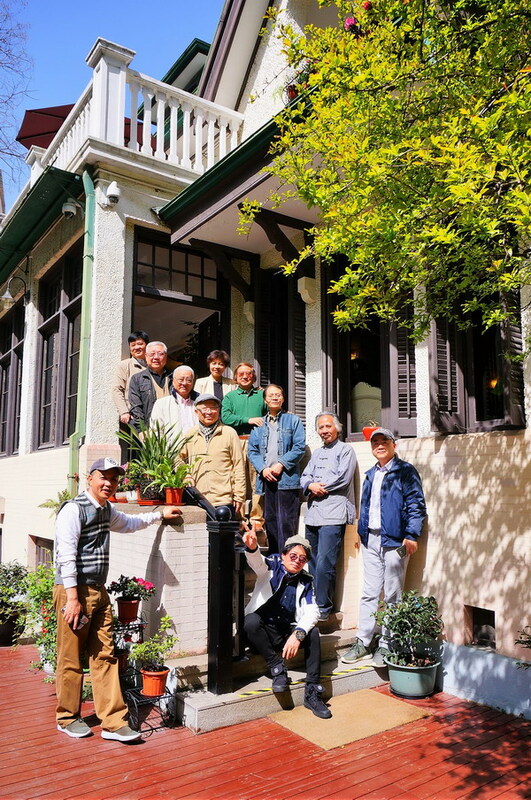 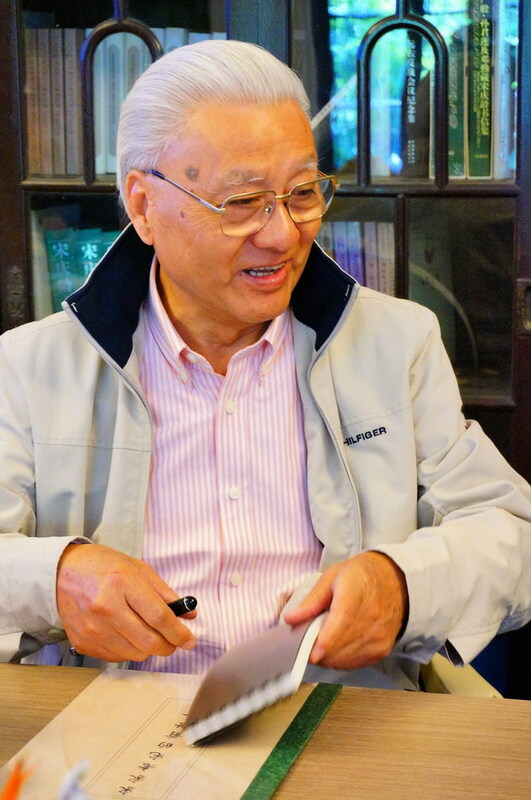 SSCLF’s executive vice chairman Zou Wei and SSCLF’s acting secretary - general Jia Yong warmly received the painters and accompanied them visit the beautiful Soong’s family garden where Soong Meiling lived for almost a decade before marriage. 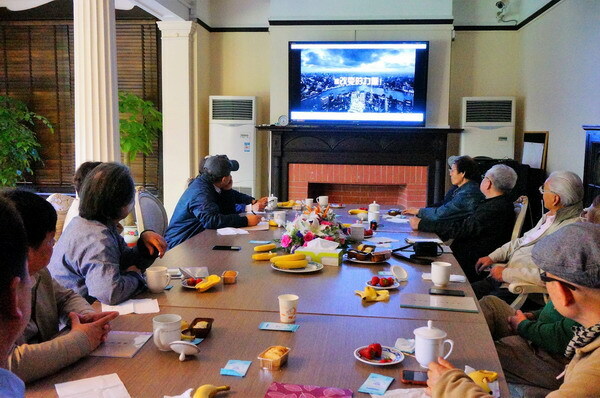 The painters expressed their keen interest in its beautiful appearance and exquisite interior of the English country villa, and praised the well protection of the old house. 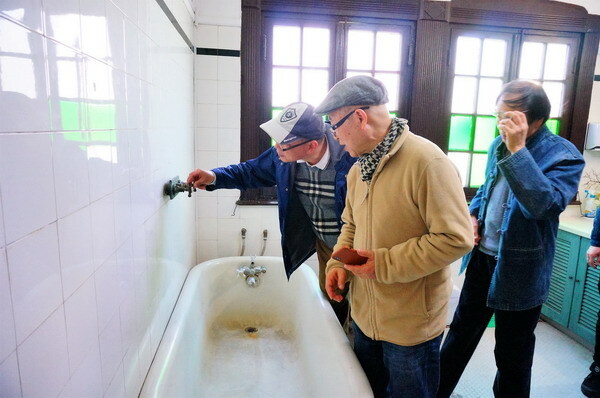 In the discussion, they said they would take the old house as a theme, each painter would create a piece of painting and donate it to the SSCLF. 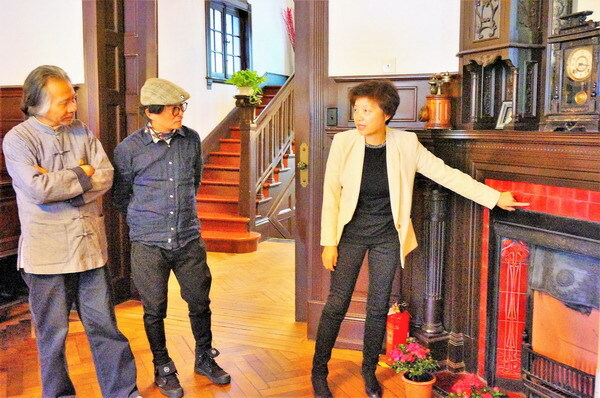 Executive vice chairman Zou Wei expressed her gratitude to the visitors and welcomed them to come around to create fine art works.